An American fashion designer of Israeli descent, Elie Tahari knows what’s best for his ladies and designs accordingly. While most of the shows on the New York Fashion Week runways were quite conventional, Tahari took the onlookers into the jungle, stating, “New York is an urban jungle we live in. 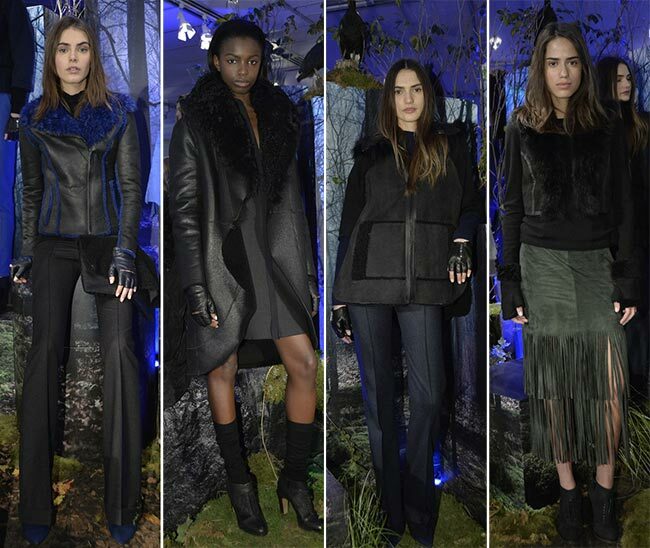 A lady needs protection, needs to dress warm, needs to look good and still be current.’ Truthfully, after hearing such a statement we can only find ourselves even more captivated by the Elie Tahari fall/winter 2015-2016 collection as a whole, which was featured on a rotating platform among a jungle themed set. The models looked ravishing, the whole presentation was enthralling and at the end of the day, Elie Tahari gains points with the ladies for considering their safety, their comfort and their need to look the best they can be in this concrete jungle they call home. The focus of the collection seemed to be on the functional yet stylish outerwear, including the white tweed and faux fur combo, the curly shearling with the black hood and the oversized body, as well as the black rabbit fur panelling on the forest-green double faced wool pieces. It was all kept simple and basic, as it was expected to be, while the forethought seemed to be to create an armour for the woman against the city’s ever-changing environment. The 63-year-old designer has certainly outdone himself with his eponymous brand’s fall 2015 fashion line that was shown off but hours ago. The line-up looks amazing and the outfits are certainly worthy of a true New York woman. The skirts are generally long, though we had a few shorter pieces appear here and there, the leather and the suede are abundant and we even see some fringe appearing. High length socks scrunch up over matching colored suede shoes, while ling haired shearling likes to show off beautifully among the rest. 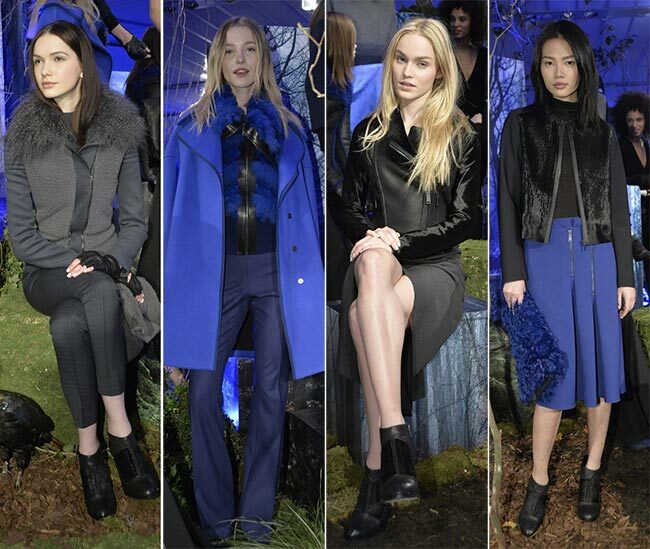 We love the dress pants with the pressed seams and matching coats that have us thinking that our work attire can certainly use an Elie Tahari fashion boost, while we are left dazzled by the initial blue hues. 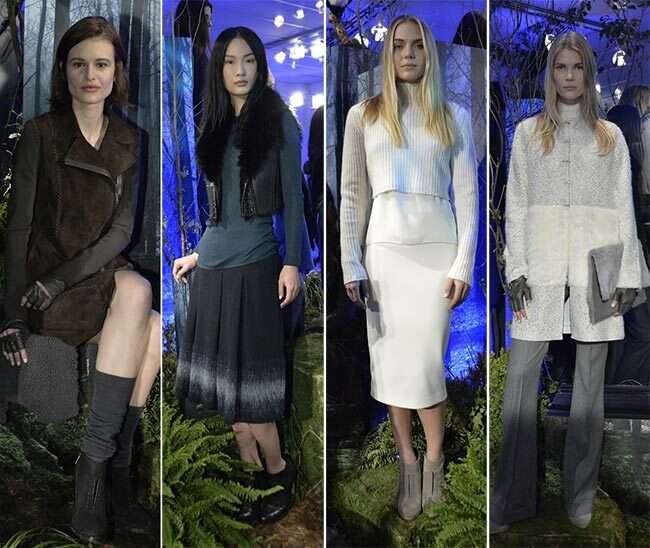 For the most part, this is a darker themes collection with lots of white and grey accents all around. The fashion looks on this collection are intriguing as well. The common theme of the centre part to the medium and long length hair manifests in this latest of Elie Tahari fall and winter collections as well, with straight locks falling over the chest or some gentle boho waves cascading over the shoulders. The makeup itself seems to be kept to a minimum, showing off a woman who knows how to dress and how to feel confident in her natural beauty without turning her face into an artist’s canvas. She seems to glow from within, instead of requiring help from without. She is multicultural and no matter what her natural coloring, she does not hide her face from the world. The Elie Tahari woman is confident, chic and able to hold her own on the streets, while staying ahead of the fashion game and looking amazing, no matter what she wears from the Elie Tahari fall/winter 2015-2016 collection.